The authors present a systematic review where 50 of 454 articles were selected on reconstruction for bone loss in both metastatic and primary proximal humerus tumors [1Dubina A, Shiu B, Gilotra M, Hasan SA, Lerman D, Ng VY. What is the optimal reconstruction option after the resection of proximal humeral tumors? A systematic review. Open Orthop J 2017; 11: 203-11. [http://dx.doi.org/10.2174/1874325001711010203] [PMID: 284 58733] ]. Described are a number of reconstruction options, the wide variation of patient demands for which options may be applied, and a number of neuromuscular variables. The review is not intended to be a procedural outline but is designed to show the options for post-tumor reconstruction surgery around the proximal humerus and glenoid. The undertaking of this review required members of a single center where many of these techniques are applied over time. Albeit the patient follow-up in the review is fairly long for some procedures, there is no discussion on specific management for treating more aggressive tumors or those with a high local recurrence rate. The authors do state that there are circumstances where it makes sense to pursue the simplest option with the least risk of complications. On the other hand, more complex procedures might be offered for specific anatomic scenarios along with consideration of the patient’s physical demands and tolerance for complications. In a similar review, the methodology of the literature search is of particular interest [2Teunis T, Nota SP, Hornicek FJ, Schwab JH, Lozano-Calderón SA. Outcome after reconstruction of the proximal humerus for tumor resection: a systematic review. Clin Orthop Relat Res 2014; 472(7): 2245-53. [http://dx.doi.org/10.1007/s11999-014-3474-4] [PMID: 2446 9551] ]. The authors searched PubMed, EMBASE, and the Cochrane Library using a specific search string for title and abstract: (humerus OR shoulder OR “upper limb” OR “upper extremity”) AND (neoplasm* OR tumor* OR tumour* OR malign* OR sarcoma* OR cancer*) AND (prosthe* OR autograft OR allograft OR fusion OR flail joint OR Tikhoff linberg OR arthrodesis OR clavicula pro humero OR graft OR forequarter amputation). Hence, those authors would capture all titles that could relate to the proximal humerus (humerus OR shoulder OR “upper limb” OR “upper extremity”) but also restrict the search to those that also discuss tumors (neoplasm* OR tumor* OR tumour* OR malign* OR sarcoma* OR cancer*). The second restriction was relative to procedures (prosthe* OR autograft OR allograft OR fusion OR flail joint OR Tikhoff linberg OR arthrodesis OR clavicula pro humero OR graft OR forequarter amputation). The asterisk (*) allows for truncation searching for various endings of the root words. Following their screening of the articles for their exclusion and inclusion criteria as well as removing duplicate records, they had 29 articles that they critically appraised and extracted data from. This is in contrast to the 50 articles considered by Dubina et al., [1Dubina A, Shiu B, Gilotra M, Hasan SA, Lerman D, Ng VY. What is the optimal reconstruction option after the resection of proximal humeral tumors? A systematic review. Open Orthop J 2017; 11: 203-11. [http://dx.doi.org/10.2174/1874325001711010203] [PMID: 284 58733] ]. Teunis et al. concluded that a randomized controlled trial has several practical difficulties. Chief is the necessity of a surgeon or group of surgeons being able to confidently perform highly specialized operations. The authors go on to note that a power analysis of 3 reconstructive methods with a difference in Musculoskeletal Tumor Society score of 10% would require 969 patients (alpha 0.05; power 0.8; G*Power 3.1.7) [2Teunis T, Nota SP, Hornicek FJ, Schwab JH, Lozano-Calderón SA. Outcome after reconstruction of the proximal humerus for tumor resection: a systematic review. Clin Orthop Relat Res 2014; 472(7): 2245-53. [http://dx.doi.org/10.1007/s11999-014-3474-4] [PMID: 2446 9551] ]. Tumor stage and aggressiveness are important to procedural selection. In a series of 54 proximal humeral megaprosthetic reconstructions, survival of patients with malignant tumors was 47%, 38%, and 35%, at 5, 10, and 20 years, respectively. Nineteen patients (35.2%) experienced 30 complications (55.5%) [3Angelini A, Mavrogenis AF, Trovarelli G, et al. Extra-articular shoulder resections: outcomes of 54 patients. J Shoulder Elbow Surg 2017; 26(11): e337-45. [http://dx.doi.org/10.1016/j.jse.2017.04.019] [PMID: 2868 9824] ]. The most common complication was soft tissue failure that required subsequent surgery without implant removal. Unfortunately, articles on reconstructions for more aggressive tumors have a limited number of patients [4Shin KH, Park HJ, Yoo JH, Hahn SB. Reconstructive surgery in primary malignant and aggressive benign bone tumor of the proximal humerus. Yonsei Med J 2000; 41(3): 304-11. [http://dx.doi.org/10.3349/ymj.2000.41.3.304] [PMID: 1095 7883] -6Adam M, Attia AK, Alhammoud A, Aldahamsheh O, Al Ateeq Al Dosari M, Ahmed G. Arthroscopic Bankart repair for the acute anterior shoulder dislocation: systematic review and meta-analysis. Int Orthop 2018; 42(10): 2413-22. Epub ahead of print[http://dx.doi.org/10.1007/s00264-018-4046-0] [PMID: 2998 2868] ]. Direct comparisons are difficult in a circumstance where a limited number of cases are available. A recent review of 150 reconstructions for a wide variety of tumors, including more aggressive tumors, has been done [7Nota S, Teunis T, Kortlever J, et al. Functional outcomes and complications after oncologic reconstruction of the proximal humerus. J Am Acad Orthop Surg 2018; 26(11): 403-9. [http://dx.doi.org/10.5435/JAAOS-D-16-00551] [PMID: 2976 2195] ]. Comparing osteoarticular allografts, endoprostheses, or allograft-prosthesis composites, the authors found that the survival rate of the prosthesis was >50%. The key was that there was a trend for a higher risk of failure in the osteoarticular allografts group secondary to the allograft fracture. The use of irradiation could have an impact on the relative effectiveness of the procedure used in proximal bone loss replacement for tumors. One of the concerns was subsequent infection as a secondary outcome. 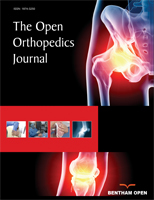 Authors used a random effects meta-analyses of single proportions to estimate pooled rates of events [8Aurégan JC, Pietton R, Bégué T, Anract P, Biau D. Effect of anatomic site and irradiation on the rates of revision and infection of allograft-prosthesis composites after resection of a primary bone tumor: a meta-analysis. Arch Orthop Trauma Surg 2016; 136(10): 1371-80. [http://dx.doi.org/10.1007/s00402-016-2549-y] [PMID: 2751 5453] ]. Additionally, meta-regression models were built to assess the effect of moderators (anatomic site and irradiation of the allograft) on the relevant outcomes. Clearly, there would be a relationship to the aggressiveness of these tumors. In this case, the primary outcome was the revision rate. This was for all joints, including the shoulder. The result was that infection rates ranged from 8% (95% CI 4%-16%) for proximal humerus, 23% (95% CI 16%-33%) for proximal tibia, and 23% (95% CI 15%-35%) for acetabulum. There was a difference between anatomic sites (p = 0.008). The net result was that an allograft-prosthesis composite construct after a primary malignant bone tumor varies significantly between anatomic sites and after irradiation of the allograft. Overall, irradiation of the allograft was significantly associated with revision rates (p = 0.033) and infection rates (p < 0.001).